With mounting news stories surrounding the dangers invading YouTube Kids and children’s games over the past couple weeks, it’s becoming clearer that the Internet is not a safe space for our kids, regardless of protective algorithms and filters. Violence is increasing, pedophiles are infiltrating YouTube, suicide instructions are surfacing in innocent games — and all with little effective effort being made to ward off the dangers threatening our youth. Just yesterday, Faithit covered a story on a 7-year-old child who was told to kill herself on YouTube Kids, and today’s news is just as rattling. 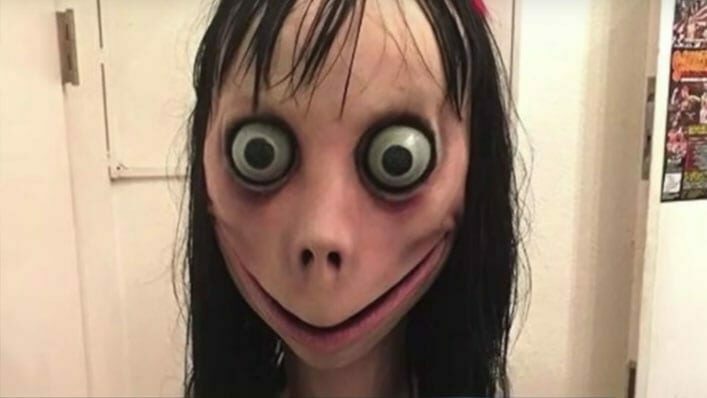 An Edinburgh mother named Lyn Dixon reports the encounter her 8-year-old son had with the ‘Momo Challenge,’ a game played on YouTube, Facebook, WhatsApp and other platforms that encourages kids to self-harm and eventually kill themselves. Link Factory, a special effects firm from Japan, created the character but claims that they have nothing to do with the suicide challenge, which has sparked outrage across the globe. The concerned mother said her son is now petrified to be in the dark, as the haunting face and dooming instructions lurk in his mind. The terror has stayed with him for months, especially after he saw the challenge appear again recently. Thankfully, Dixon got to her son before it was too late, but many parents haven’t been so lucky. The disturbing game has recently been linked to the death of a 13-year-old boy in Belgium who hanged himself and a 12-year-old girl in Argentina who was convinced she had to sacrifice her life for her brother. Other countries where the challenge has been reported since last year include the United States, Canada, Mexico, France, Germany, Spain, Scotland, Colombia, India, and Pakistan. Over 130 teen deaths have been reported in Russia alone. 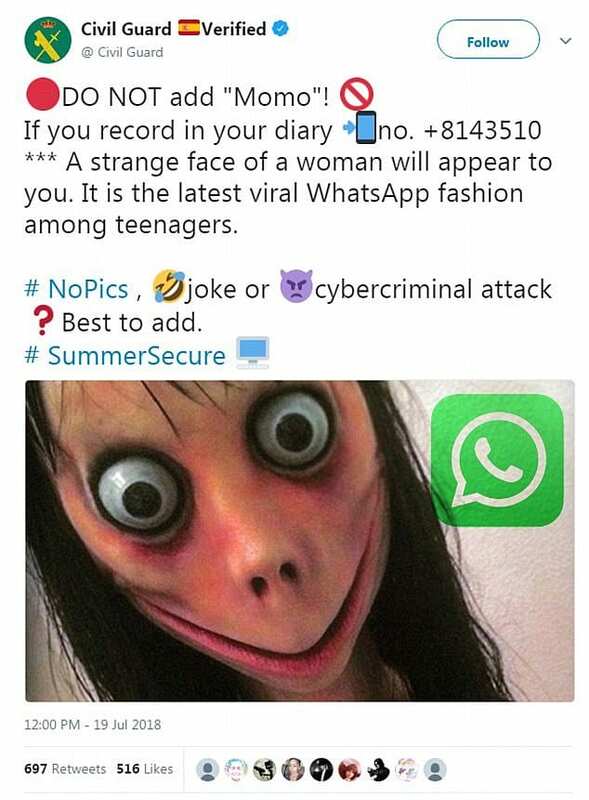 One UK school just issued another warning to parents after an alarming discovery was made that the ‘Momo Challenge’ is getting into other children’s platforms. Authorities encourage parents first and foremost to talk to their kids and reinforce that they have the power of choice to say “no,” in spite of the pressure. “Reassuring a child that they can still be accepted even if they don’t go along with the crowd will help stop them doing something that could hurt them or make them uncomfortable,” said one NSPCC expert. Don’t wait until it’s too late. Talk to your kids about the ‘Momo Challenge’ today, and share this message with the parents you know on Facebook.